It sounds like Its in-sync!!!! I love it. So easy. Recommend this one been using several years! 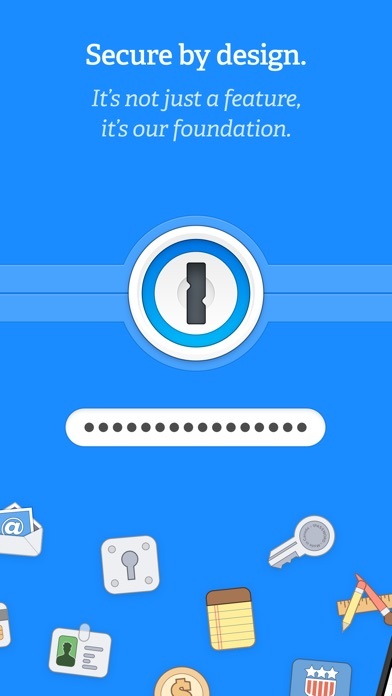 I’m not even sure where to begin with but 1Password is probably one of the best password managers out there. I have used competitors such as LastPass but it just wasn’t good enough. It was slow and the UI felt unresponsive most of the time. Regardless of how I feel about other competitors there’s one goal for me: to secure my global identity. And what I mean by global is very simple. Our internet footprint is everywhere. We have accounts, hundreds of them, and we do the mistakes of using predictable passwords and reusing passwords pretending we would never be hit in a hack. Do yourself a favor , improve your online security. 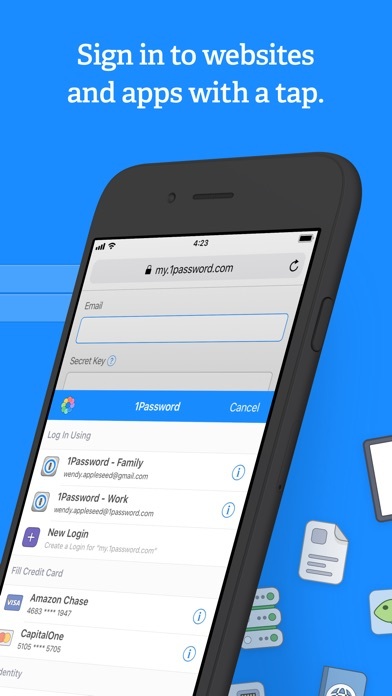 You don’t have to like 1Password, it’s one of the best, but you do you and use whatever you need . Important part is just securing your credentials. Just fantastic! Try the free trial, you wont be disappointed, and if you are cancel it what do you have to lose. This is an easy (and the only one I have ever wrote) review. 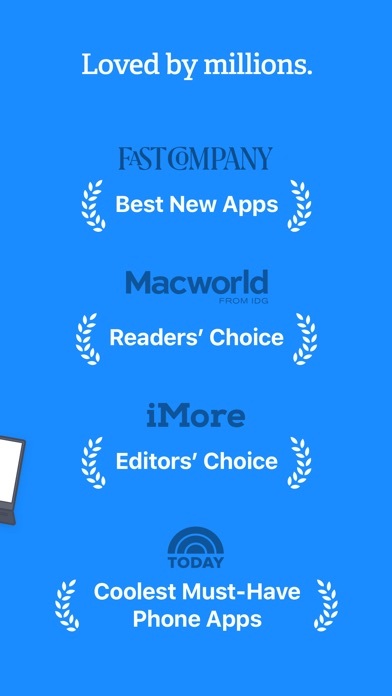 1Password is a must have application across all your computers, tablets and smartphones. I have been using it for close to 12 years now. Maybe longer with Windows systems. I have seen it evolve from a great password encryption tool to all the many features it has today. It has strong encryption and Username/Password/site management. Very easy interface to quickly get you up to speed on managing all the passwords we need to use in today's online tasks. Don't think twice, it's the best and you need it! Enjoy. 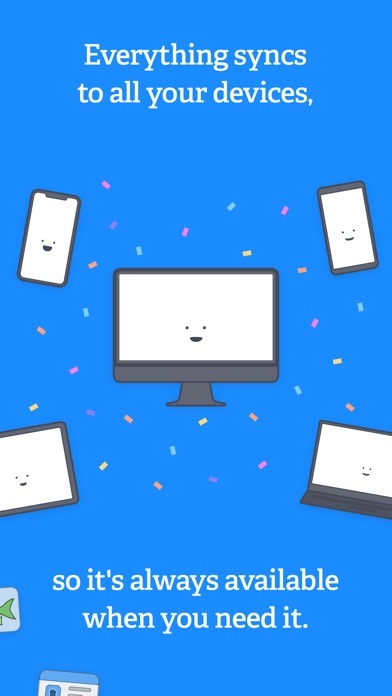 1Password makes it easy to have unique passwords that are shared across multiple devices. A wonderful software product! I’ve used 1Password for a long time and have always trusted and relied on it for all security purposes. The iOS app runs flawlessly by my experience. 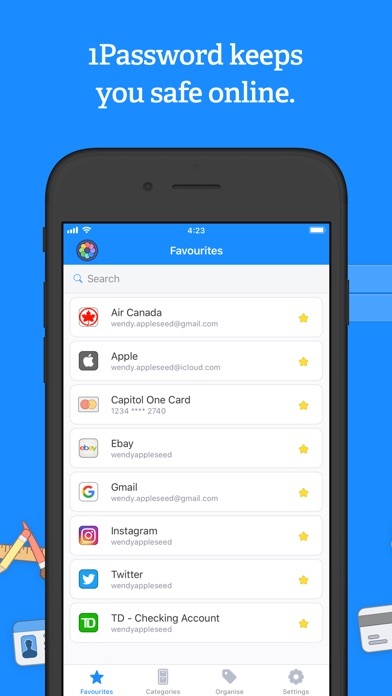 I’ve tried/tested many different big name password security apps in the past to see how the many run and respond to my needs and its complexity but with ease of use… but in the end I have always came back to 1Password every time. I have loved it from first use and no longer trial/test run other security apps to compare because I always end up back to 1Password and justifiably so. If you’re looking for a great keeper then look no further. I now use the annual subscription and it’s well worth every penny. Thank you 1Password!! !